Prickly Pear Season has arrived…Introducing the Prickly Pear Tart ! 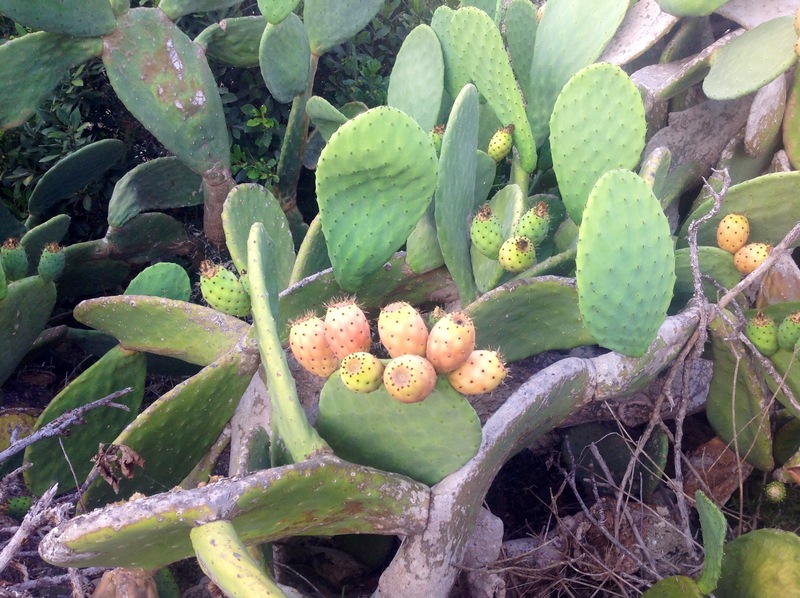 This week sees the start of the prickly pear season on the island. I never considered myself to be a huge fan of this fruit until very recently when I tasted it just as it should be … eaten nearly as soon as it is cut. 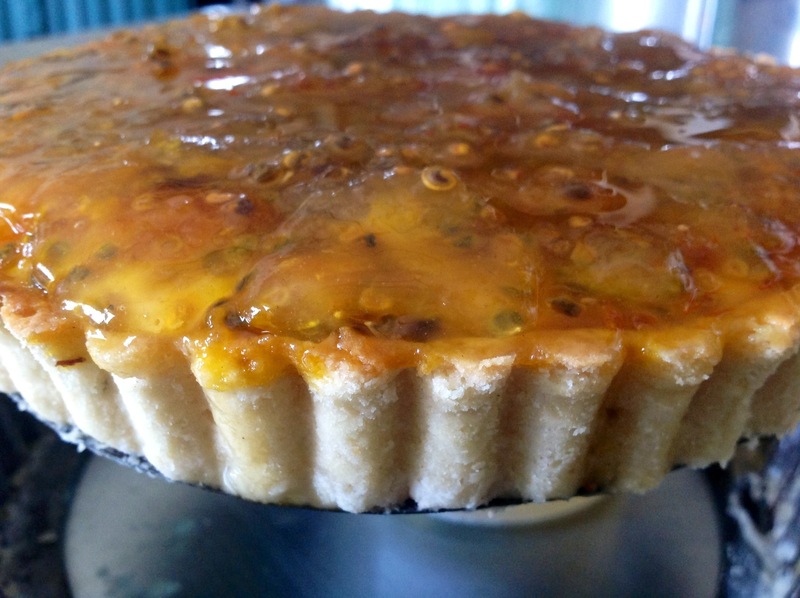 The flesh is moist, succulent and totally different, the seeds silky and smooth… not as trendy as passion fruit but just as good as, if not better …. I still cannot understand why this fruit is imported on the island as prickly pear trees are abundant and I am so impressed with the flavor and texture of the local variety that I will spend the next week trying out different ways to use them. 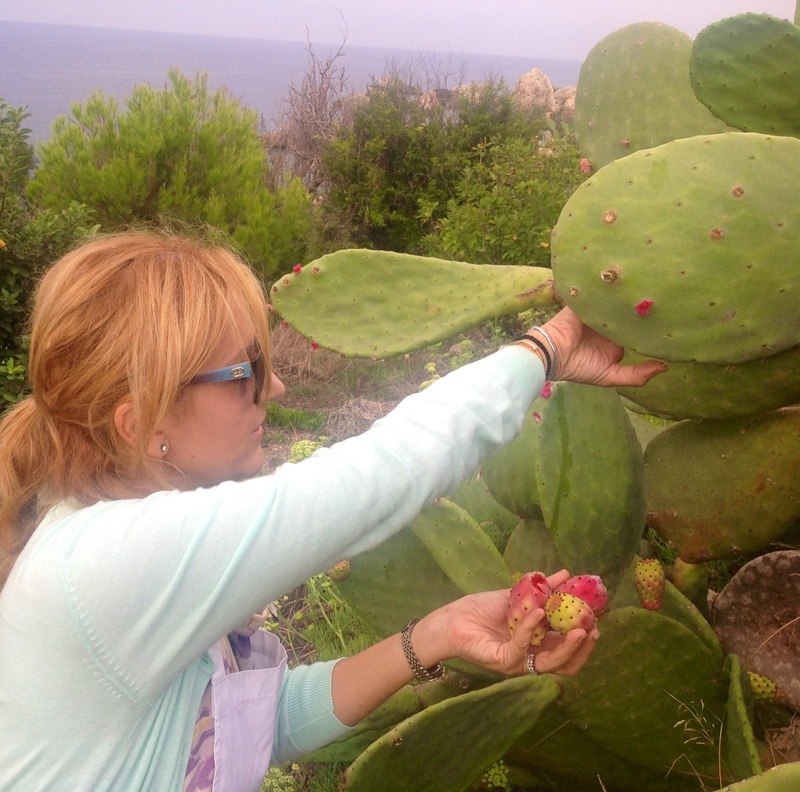 I wish to capture the prickly pear at the peak its freshness and full flavor! This morning I visited a secluded part of the island, paradise still untouched, tucked away from the reality and the harshness of everyday life. A place surrounded by orchards and vines, figs and peaches, the sweet aroma of fennel and blueness of the Mediterranean Sea all around. A feast for the taste buds, the eyes and the very soul …. 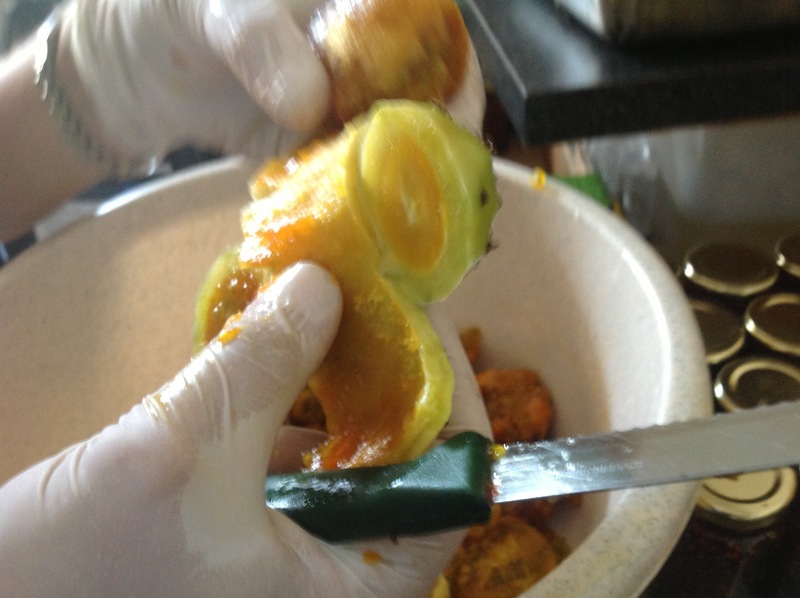 and with the help of disposable gloves I chose and cut my own prickly pears, no difficult job at all…. I came back home, peeled them and made a prickly pear tart like no other I have seen before. Add vanilla extract, lime zest and mix in well. Dissolve the sugar into the cold water. Add the lime zest. Make well in the middle of the dry ingredients and bring together. Place in cling film in fridge for at least half an hour. I usually like to bake the pastry case blind for about 10 minutes to give it more texture. It is just a matter of preference. Break up the prickly pears with a fork until seeds resemble passion fruit. Heat up with honey and sugar and drain water by placing the seeds in a sieve. Allow to drip. Gently heat the first four ingredients and bring to a gentle boil stirring with a wooden spoon. Add the cornflour mix and stir while bringing to a gentle boil. Remove from heat immediately and carry on stirring. Pour over the crust. Add a few prickly pear seeds and work into the custard with a fork. Before the custard fully cools, add the rest of the drained prickly pear seeds and flatten with a spoon. Allow to set in the fridge. When it has cooled down, brush with a glaze using 100g Apricot jam, 20g water and 15 g sugar. Prickly pear season is here! 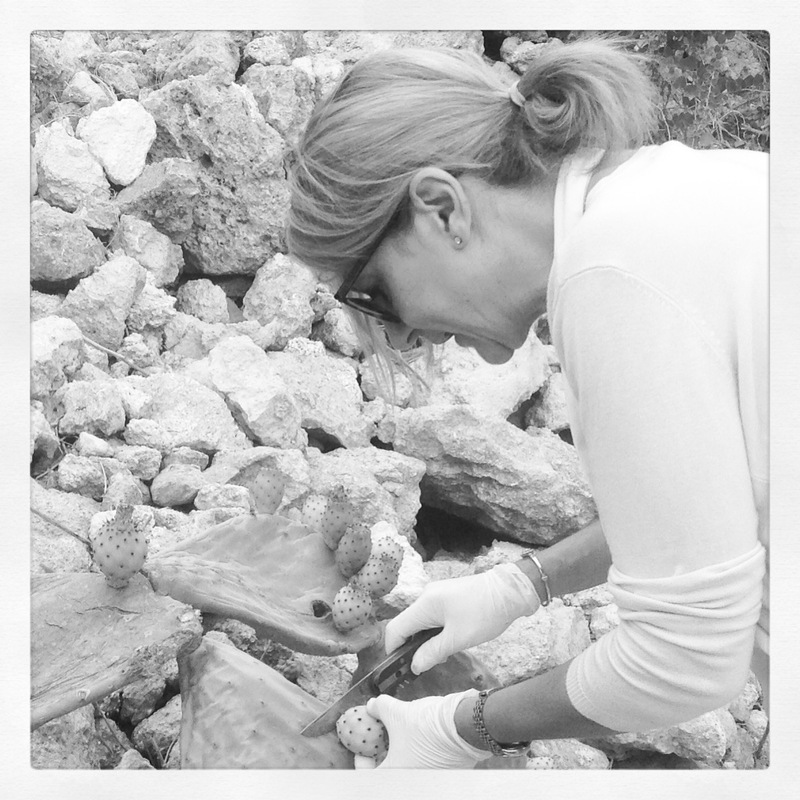 I was up early cutting prickly pears for some of my recipes today… What a glorious day on paradise island ! And I now find I can cut the fruit without gloves… !